No. 1 (1976) - No. 21 (1981). Issued in 5-100 copies. Individual issues ca. 90-350 pp. GENRE: journal. Start year, end year, 21 issues, participants (SAML 457). Associated with the Religious-Philosophical Seminar of Tatiana Goricheva. Issued in 5-100 copies. 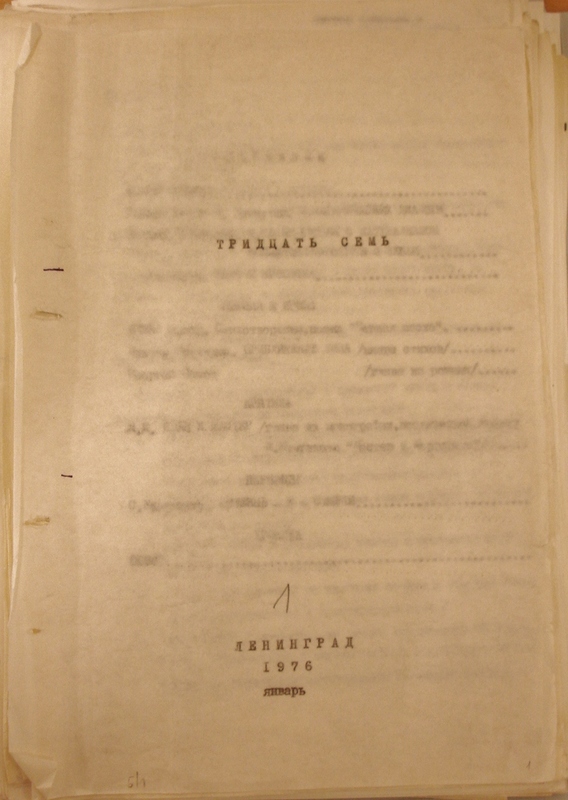 Individual issues ca. 90-350 pp. (SAML 457). Partial reprints (ABTS). Electronic editions of Nos. 1-12, 14-21 (PSDS "Journals"). "noiabr' 1980 - ianvar' 1981"
RSKD 1976 (No. 118, 121). 1977 (No. 123).